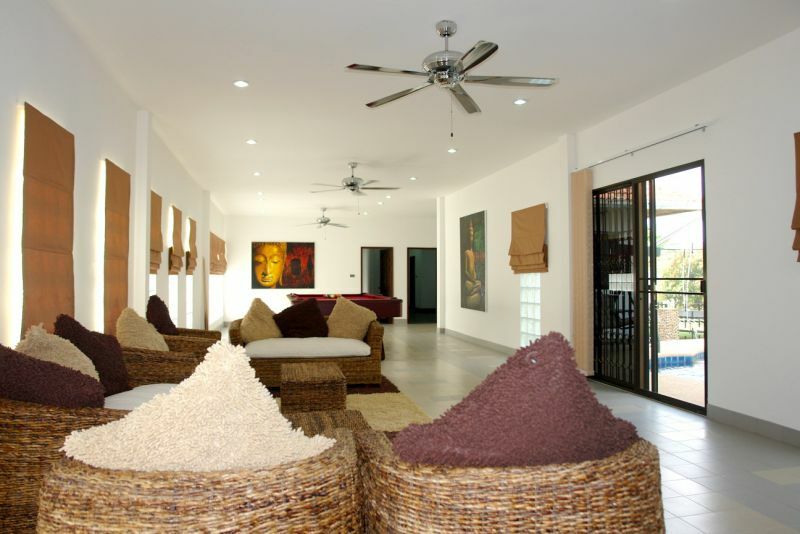 Soi Thepnimit villa. This is such a wonderful house on soo many levels!! 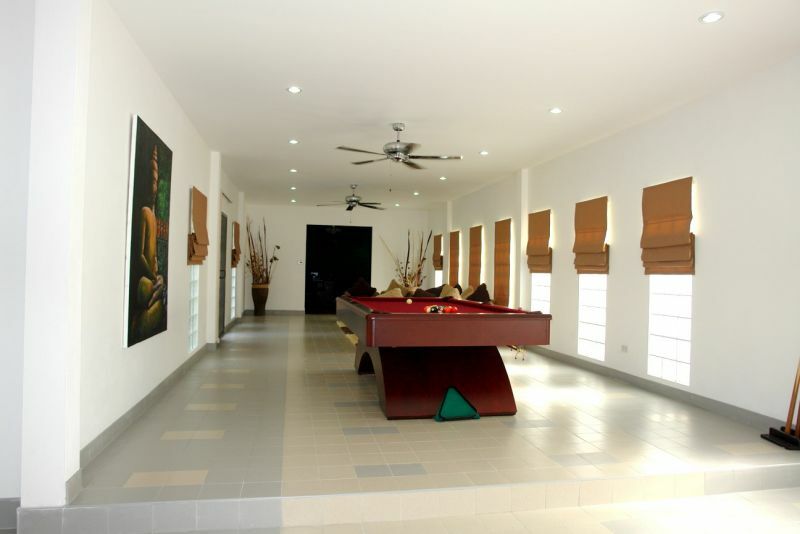 The house is set within lush landscaped grounds and has a total of 326 Wah² (1,304 sq. metres). There is a beautiful front garden leading to a tropical free-form private swimming pool, large terraces and small garden beyond, which is perfect to entertain, or for kids to play in safety. 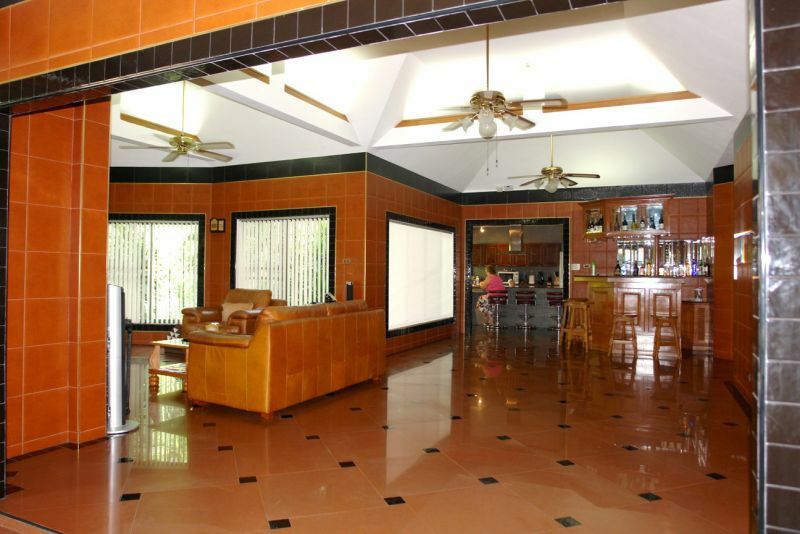 Located in a very quiet and peaceful area of North East area of Pattaya, this property is within very easy reach of Pattaya City, International Schools, a choice of many International Golf Courses, and the Bangkok-Pattaya Motorway. Industrial areas such as Laem Chabang, Rayong, and the Eastern Seaboard are all within 30 minutes commute. 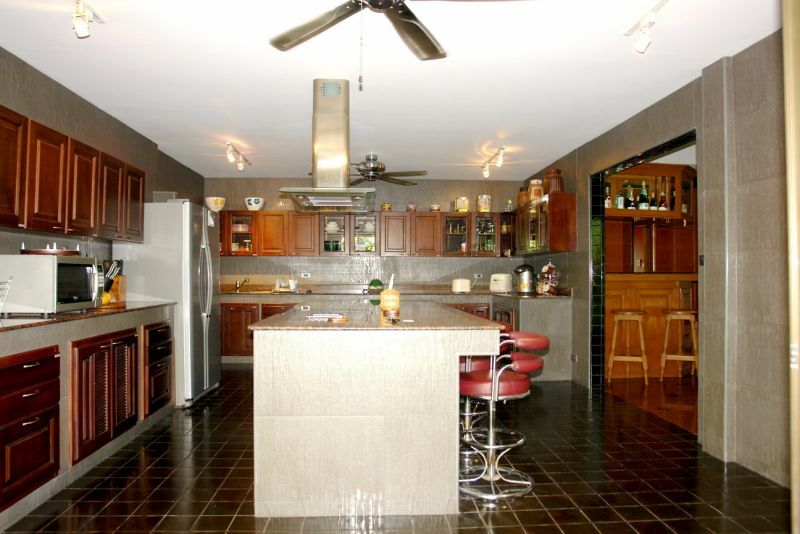 Inside the main house is a delightful family sized kitchen with centre aisle cooking. Beside this is a spacious utility room with laundry machines, masses of storage and a bathroom. This are could be re-decorated to be a “live-in” maids quarters with separate access. As you enter the main living room you gain access to the 2 further (en-suite) bedrooms and the naturally lit living room. The property has been extended since original build to now accommodate an extra wing which has created a 2nd living room with pool table and access outside to the pool and gardens plus an additional 2 en-suite bedrooms. 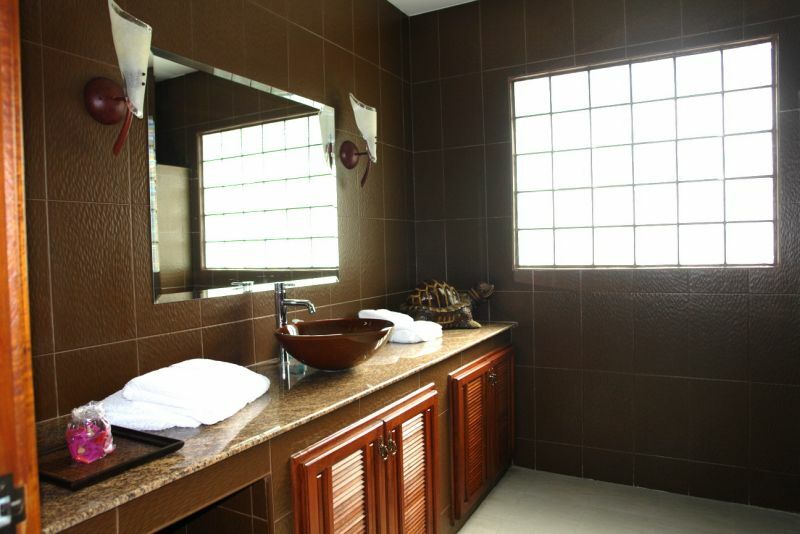 All around the rear, and side perimeters of the property it has been tiled for easy maintenance, and is the location of many additional features such as: 12,000 litre underground water storage, a water filtration system, and an 18 metre bore water well. The roof spaces have been treated with a polyurethane rigid foam insulation, the electricity has been upgraded to be a 3 phase ‘grounded’ system with safety cut0off, and the property is fully alarmed. This really is a fantastic, clean, well-cared for, secure home which represents excellent value for money considering the care and upgrades it has continuously received by the owners over the time they have enjoyed the home. 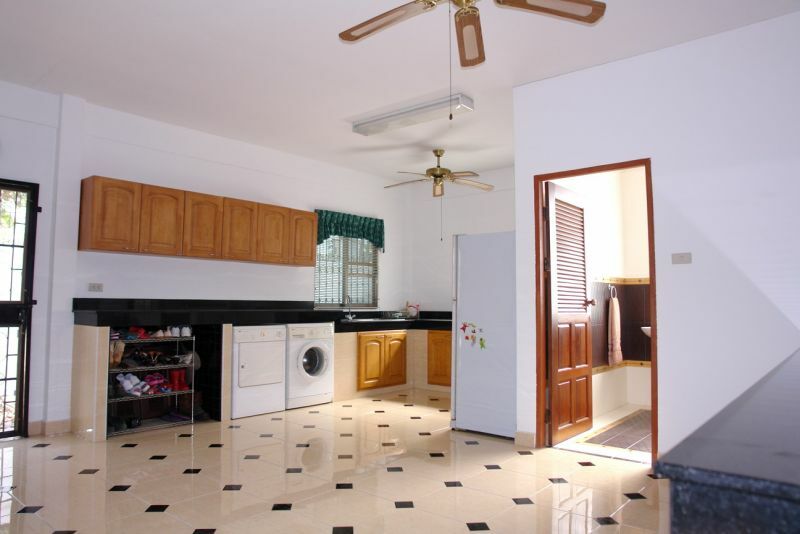 Call us on 038-723615 or e.mail [email protected] to arrange a viewing.